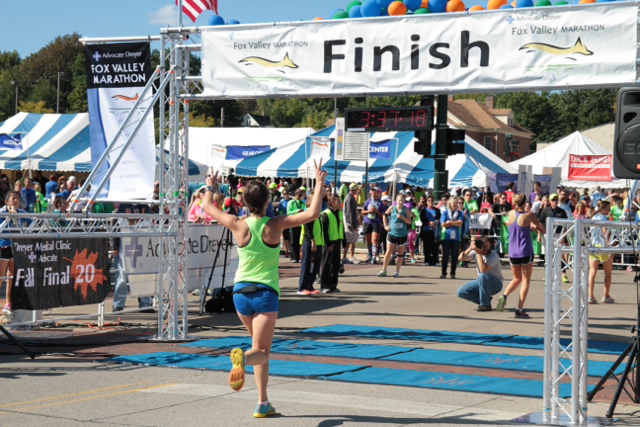 So almost 2 weeks ago I ran the Fox Valley marathon for the 2nd time. And subsequently fell of the face of the social media. 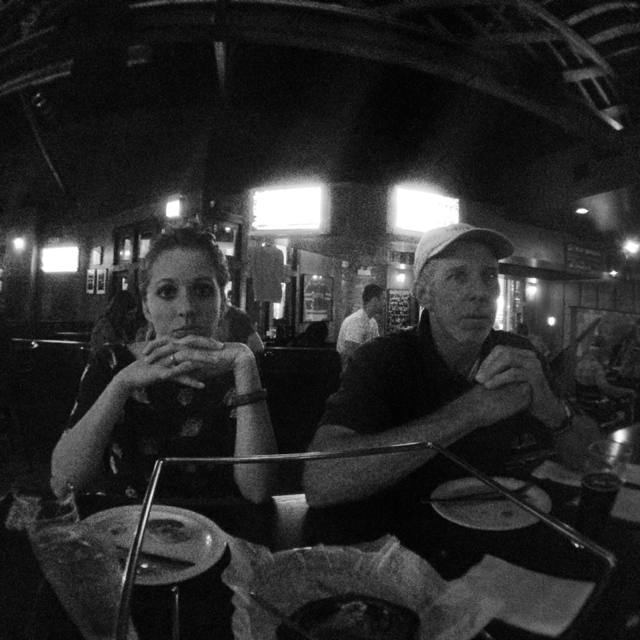 My Daad was here visiting for a while which was nice- since we hadn't had a beer together in like a year. We live in different states. I really thought I had it all figured out leading up to #FVMBQorBUST. The original plan was to BQ by at least 5 minutes (3:30) and then run Chicago and Naperville marathons with some people very close to my heart. Or, if Fox valley was too hot, I'd race Chicago. •Would I "race" Chicago or Naperville and try again to punch my ticket to Boston? I took some days off running post FV even though I really had no soreness afterwards. Last Saturday I decided to run an easy 10 miles just to see where I was at fitness wise and if another marathon would be feasible a few short weeks later. 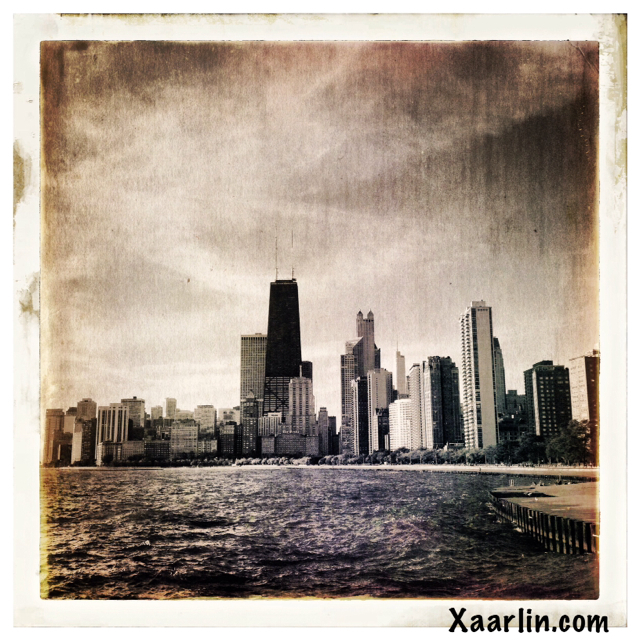 It was nice to be back on the lakefront again. However, my "easy" pace was about 30 seconds slower than normal. So no, I guess my body wasn't fully recovered from the marathon after all. The progression of how Fox Valley 2013 went for me. Mentally, I am still not recovered from those final 10 miles. For the past week I've been having marathon nightmares almost every night. Now usually you're supposed to have freaky dreams about your big event before it happens, right? I feel like I've got some sort of post traumatic stress from the marathon going on now. Those final 10 miles were so difficult, words cannot fully articulate how I felt. 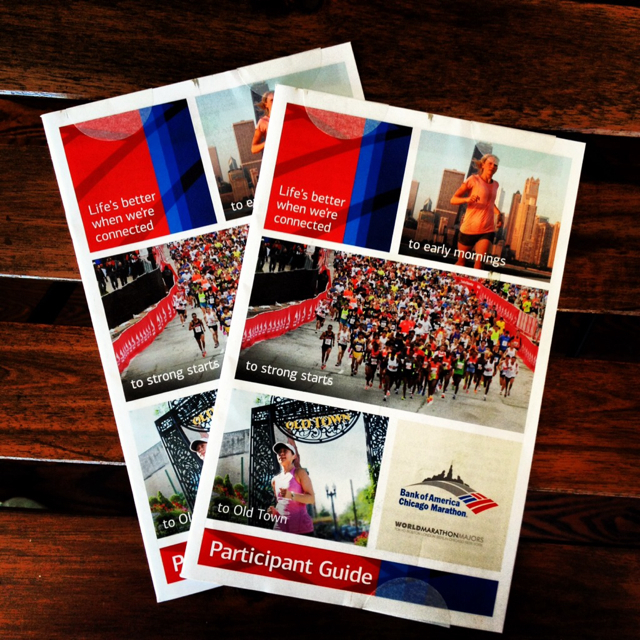 His & Hers Chicago Marathon bib pickup packets. I'm going to hang up my marathon racing hat until next spring and focus on some 5ks or even a half marathon before Chicago freezes over. Sure, I could probably get my BQ this winter given the fact I'm injury free & healthy, but the dark cloud of those last 10 miles is still hanging over my head. The performer side of me knows that until my head is clear, I wont function at a high level in the next marathon. Marathons are deceptively a large part mental, especially after you've been on the course a few hours. Some success at shorter distances will bring back my confidence for the long haul. Edited to add: I cannot wait to run through the streets of Chicago and the trails of Naperville, with some of my favorite people in the world, while enjoying every-single-step. Stress free. The marathon is tough on your body, but probably tougher on your mind. I know this must have been a really hard decision to make but I think you're being smart. You're playing it smart - there will always be another race. Not physically and mentally recovered from FVM = Good decision not to race Chicago or Naperville Marathons. Yes, focus on getting some solid 5ks and half PRs in before winter hits. You will able to enjoy fast legs with marathon type endurance for the next few weeks! The spring marathons will get here soon enough. A solid 10 to 12 weeks training by the lake this winter should get you battle ready by March/April to BQ minus 5! Good call. I chased the BQ for 2 years. The last failed attempt was 3:41.12 (when I needed 3:40.59) Similar to you. I waited a season and I trained smart and BAM 3:31! I don't think I could have done that a month after the near miss. I didn't have the heart. I think doing a few blazing 5Ks or 1/2s is a great idea! Enjoy Chicago and Naperville, too. 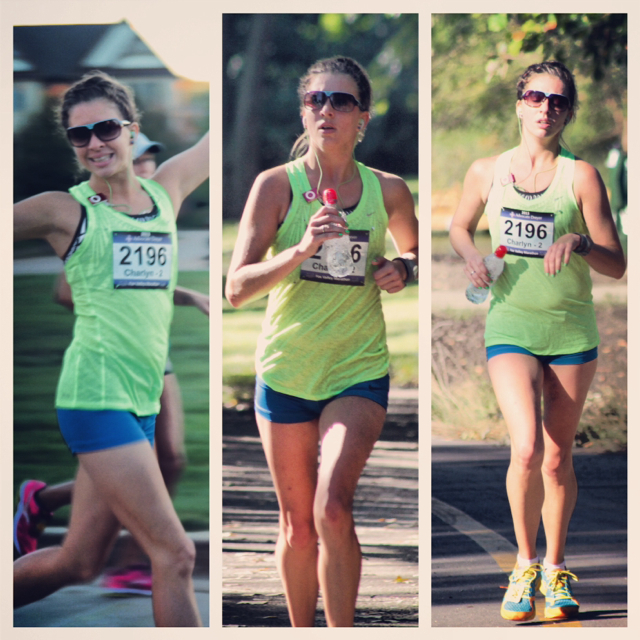 One of my best races last year was pacing a friend to her marathon PR in Indianapolis! The marathon is so tough. I can probably imagine what your last 10 miles felt like. I think my last 16 miles of my last marathon were the worst minutes of my life. I still have ZERO desire to run another marathon. That race literally broke me. You have a much better attitude than I do though. Have a blast at Chicago and Naperville and enjoy the moment. You are so close to a BQ- I KNOW YOU CAN DO IT! oh you are running Naperville too? We are debating on spectating. Want to run this weekend with us at the Morton Arboretum?? V is running a 5k! The marathon in mentally tough, I know what you mean about the last ten miles because I am still dealing with the last 5 of mine, what a shock those were. I still at this point do not know if I will do another. I am pretty happy at the half distance. Enjoy your next two marathons! I think not racing either of your remaining fall marathons is definitely a smart plan. So much of running is SO mental, so just take some time to recover and enjoy running injury-free. You do need to grieve! And get past those nightmares! Ugh, those last 10 miles. I am bummed that they are STILL haunting you! I bet the fun of Chicago will help get rid of those. And some fun, smaller (or not smaller?!) races!